Listen, we all love Pixar movies. Everybody loves at least one Pixar movie, and most people love most Pixar movies-- the studio's stellar record of critical acclaim and box office success proves that much. But every time a new Pixar film is release to stellar reviews, there are a few people standing in a corner, wondering what all the big fuss is about. It's no fun to be the lone hater, so we usually keep our mouths shut, letting the studio soak up all the praise and asking ourselves if there's something wrong with us, or if everyone else is crazy. Well, we will be silent no longer. On the occasion of the studio's new movie Brave-- which is getting more mixed reviews than usual for Pixar-- we've decided to finally speak up and reveal our own personal Pixar misses, the movies that everybody else adores and we simply can't get on board with. We're not talking about the universally shrugged-at Cars or Cars 2 here, but the Pixar films that are considered classics by just about everybody-- except us. Each writer made their own personal choice, so you'll see names next to each entry-- just because Eric hates Finding Nemo doesn't mean Katey does, and Jesse does not necessarily speak for the group in rolling his eyes at Ratatouille. Read below as we stick up for our own outlier opinions, and let us know in the comments if there's a Pixar movie you simply can't get on board with for some reason. 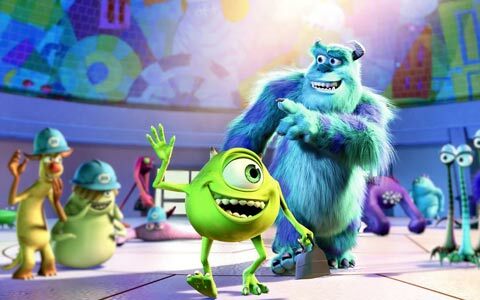 I know it's funny and charming, but at the end of the day Monsters Inc. is nowhere near as daring or interesting as Pixar's best. It's pretty sparse story-wise, and coasts along predominantly on Billy Crystal's broad brand of humor and an overwhelming amount of cuteness. While other Pixar efforts took risks with their heroes (a rat in a kitchen, a nearly mute robot, a superhero sick of everyone being declared special), Monsters Inc.'s makers transformed our childhood terrors quite literally into cuddly creatures fit to be a child's plaything—an especially galling move as DreamQorks made us rethink ogres with the gross yet lovable Shrek that same year. Then, to top this candy-colored comedy with an extra dollop of saccharine, they plop a cooing toddler at the film's center. Yes, Boo is adorable, but most of the laughs she garners are from her baby talk, which is 95% giggling and gibberish. It's cheap laugh-getting, and Pixar can do better. Looking back, the animation of Monsters Inc. doesn't hold up to well either. Aside from Sully, there's a general lack of texture that makes the aesthetic feel cheap and dated, the characters rubbery, and the backdrops flat. Of course, there are some really beautiful moments within the playful feature, including the exhilarating door-chasing sequences and a truly touching final moment. So, it's not that Monsters Inc. deserves scorn exactly—we can reserve that for the snoozefest that was Cars, which I literally fell asleep during. It's a good children's movie; it just doesn't meet the bar that Pixar themselves raised. You can pinpoint the exact moment Up starts to falter. It’s at the 11-minute, 42-second mark, after the whirlwind montage of Carl and Ellie Fredricksen romantic relationship. That sequence is Pixar’s pinnacle, and the rest of Up couldn’t – and doesn’t – live up to its gut-wrenching opening. Up feels far less realistic than its Pixar brethren. The idea that an old man (any man, really) could fly his house using balloons tied to his chimney isn’t whimsical. It’s dumb. Attempting to explain that a storm tossed Carl’s house barely a stone’s throw from the spot where he dreamed of resting it isn’t just implausible, it’s embarrassing. There’s “suspension of disbelief,” and then there’s the chasm swallowing all logic at the center of Up. But even if you buy into the plot (which I don’t), Up is littered with the kind of bad decisions Pixar prides itself on avoiding. Russell isn’t cute; he’s annoying. Charles Muntz has no motivation as a villain; he only hates Carl to keep the thin plot moving along. And Up forgets its central conceits as it races to a ridiculous finish, where dogs fly airplanes, Russell suddenly is able to pull himself up a hose, and Carl – once too old to walk – swings from a blimp like Arnold Schwarzenegger. Pixar, please. It feels weird to be down on any Pixar movie. In general, they’re far superior to other animated efforts in the marketplace. 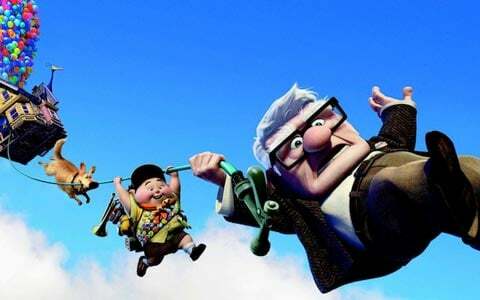 But Up rarely soars as high as its Pixar siblings, and always seemed like a swing and a miss. Finding Nemo is unquestionably a beautiful film. Water, by the nature of being formless and in motion, is one of the hardest things to animate, but the team over at Pixar made a film that makes you feel as though you are diving deep into the ocean. But when you stand the movie up next to the animation studio’s greatest projects, the characters, tone and depth of story pale in comparison. The story of a father desperately wanting to find his son, the movie isn’t like Wall-E or Ratatouille, where you can find deeper meanings about environmentalism or the origins of artistry, and never really digs its teeth into the important parental-child relationship (which Brave happens to do brilliantly). 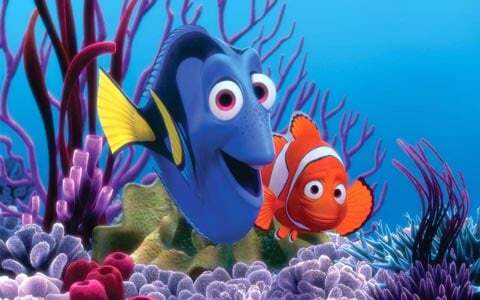 We see some of it at the beginning, where Marlin is seen being an over-protective father due to the death of his wife and other children, but that becomes diluted once Nemo goes missing. Instead we get Dory, who is clearly a fun character to write for because her memory loss is so goofy, but she is a one-note character and it’s a note that is played far too often. Likewise, the film’s humor is more sophomoric than previous projects, with gags like the predator support group and characters like the surfer-dude turtle, Crush. It’s things like that make the film more appealing to children than adults, more in line with Cars than anything else in the catalogue. Seeing as the movie is primarily meant for younger viewers it’s hard to knock Finding Nemo too hard for this, but that doesn’t mean it’s not lesser Pixar. 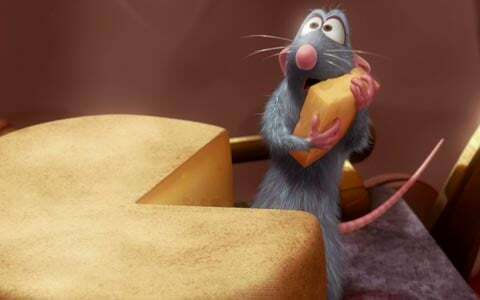 Written and directed by Brad Bird, who happens to be the man responsible for my favorite Pixar film The Incredibles (not to mention Iron Giant), Ratatouille won the Academy Award for Best Animated Feature in 2007 and I’m not here to argue that it didn’t deserve the prize, only that it doesn’t belong in the upper echelon of Pixar films.The animation itself is dazzling, with Paris serving as a wonderful backdrop for the culinary exploits front and center but it’s missing that, in keeping with the parlance, je ne sais quoi. It’s clever and well structured, but I’m appreciating it at a distance instead of diving right in and devouring the inventive story. When Pixar made Toy Story 2 as their first sequel, it seemed like a logical effort from a new studio to cash in on their biggest hit. Then they hit a run of brilliant, daring original films in the mid-00s, so that when Toy Story 3 came along in 2010, it felt like they were pumping the brakes on an astonishing winning streak. 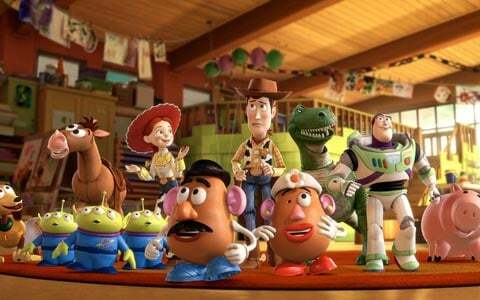 And while there's nothing in Toy Story 3 that embarrasses the studio, exactly, or tarnishes the legacy of the first two films, it feels like a return to the company's beginnings, at a time when they were showing the potential to go so much beyond that. It's not just that the adventures of Woody and friends feel familiar, but the narrative doesn't shape them well, sending Woody off to hang out with Bonnie's toys for half the movie, then orchestrating a giddy prison escape that ends in a grim but implausible trip to the incinerator at the dump. The finale, in which Andy hands the toys off to Bonnie, feels like the entire reason for the movie to exist, but it would have worked just as well as a coda tacked on to the end of Toy Story 2. I'm glad we got to meet Lots o' Huggin Bear and Mr. Pricklepants, but I would rather have met a new band of original Pixar creations. Toy Story 3 isn't the studio's worst movie, but maybe the biggest missed opportunity.